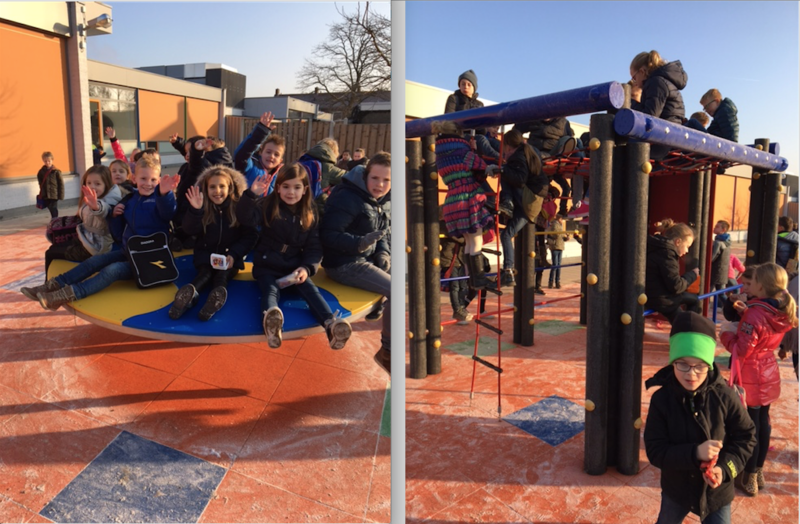 Children from primary school the Rank in The Netherlands are very happy with their new playground safety flooring. The orange and blue DuraSafe Premium tiles are made with a TPV wear layer. This TPV is new made rubber and available in almost every mix color you wish. TPV doesn`t contain PAH`s. Experience it and make your own color in the colourmixer.